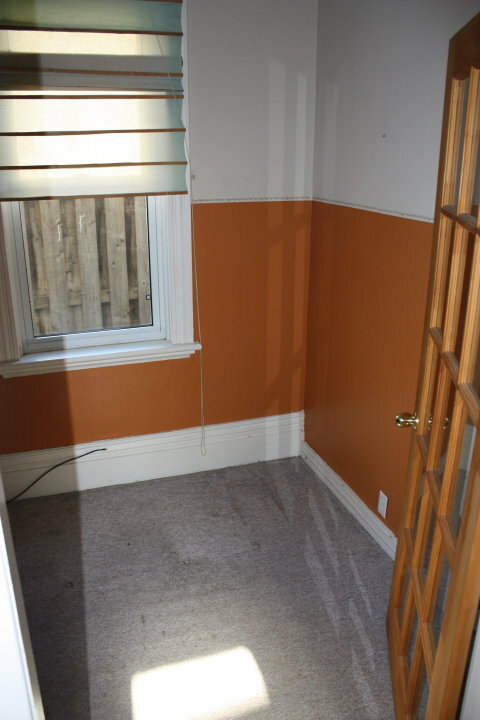 When we moved into this house, there was this odd, tiny room off of the dining room. 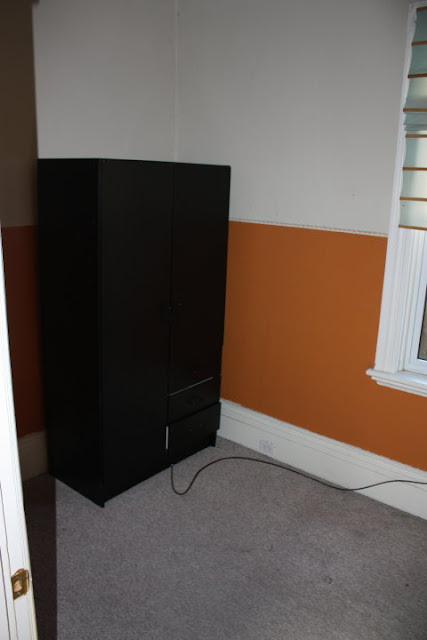 Because of its size, I couldn't envision anything more than a desk fitting into that space. We recognized that part of the "odd smell" coming from the house was from the old carpet in there, that was covered in dead bugs and animal urine of some sort; so one of the first things we did to the house was rip up this carpet and replace it with some engineered hardwood that I found at a killer deal: 99 cents a square foot! 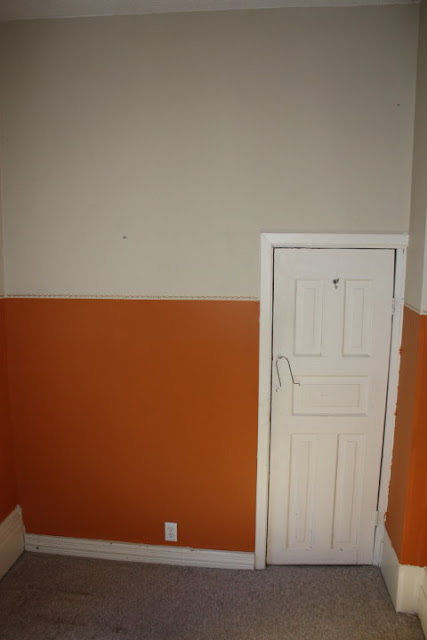 After a fresh coat of paint, it became very apparent that this was one of the cheeriest rooms in the house, and I also needed a place downstairs for the kids to play. It soon became the most perfect, tiny playroom! I absolutely love the aqua and red combo, we chose the same scheme for our son's nursery. That little rocking chair is just about the coolest! Wow! have have you done?>> they are fabulous.. wow, i like your blog, i love staying at the play room of my kids and spending time with them..